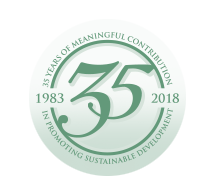 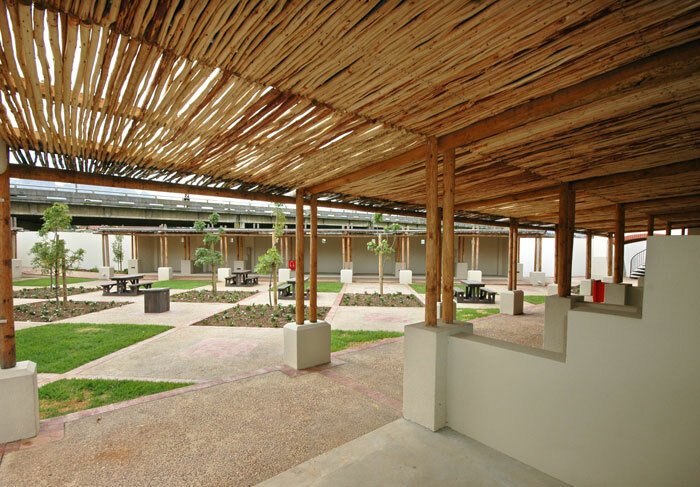 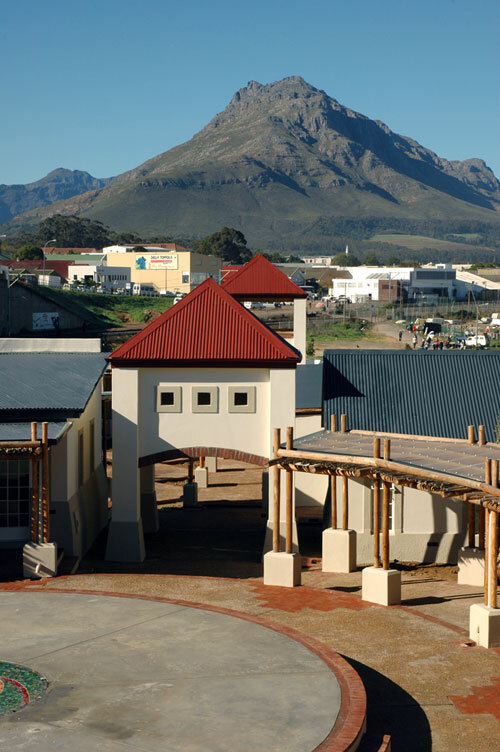 The Kayamandi Tourism Centre is part of a larger project vision known as the ‘Kayamandi Tourism and Economic Corridor’ which serves to develop the town centre of Kayamandi, provide sporting facilities & integrate Kayamandi into the surrounding communities. 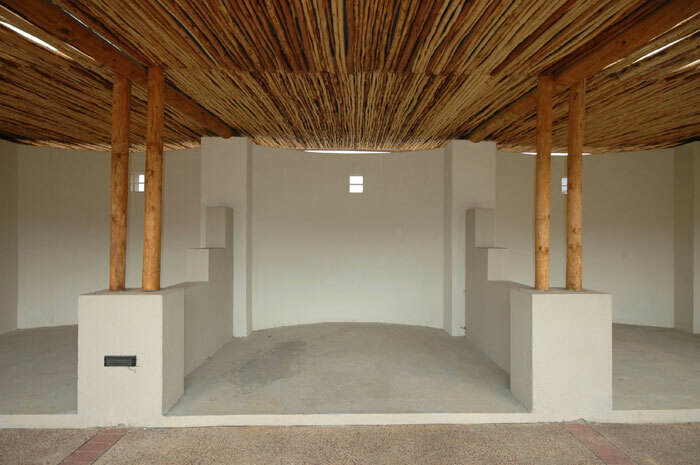 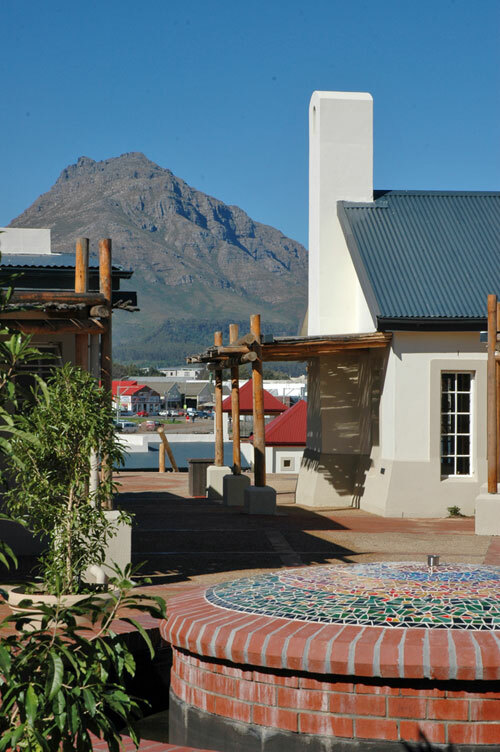 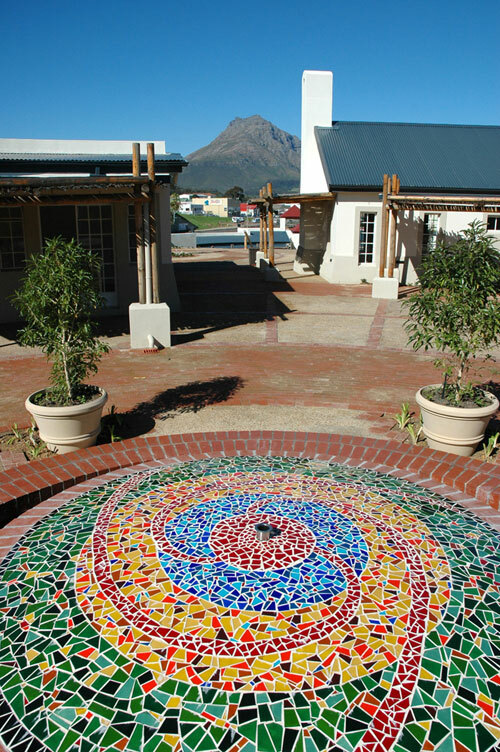 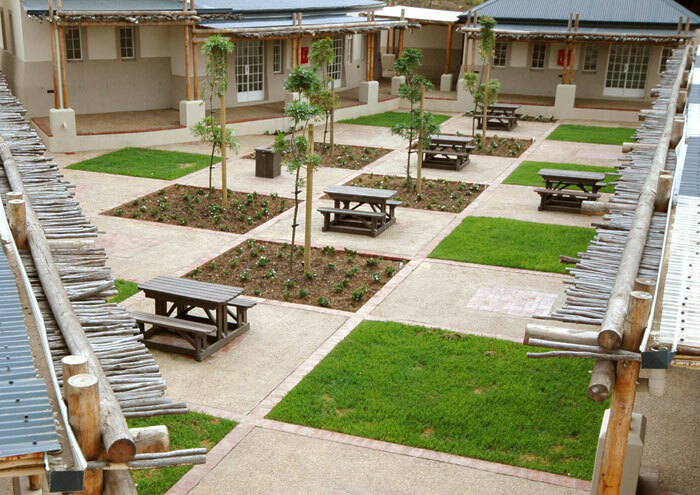 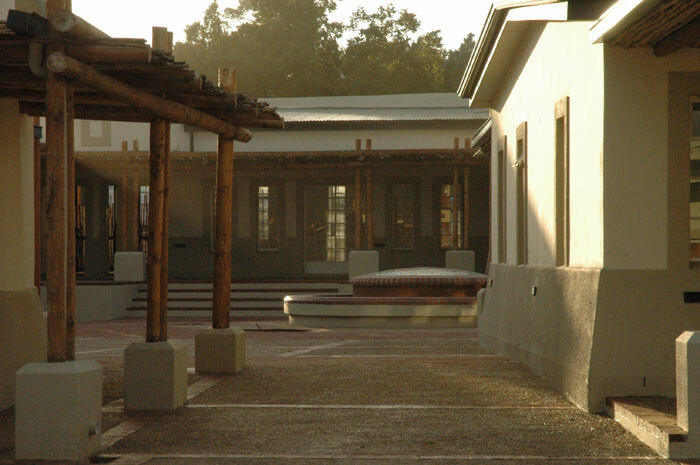 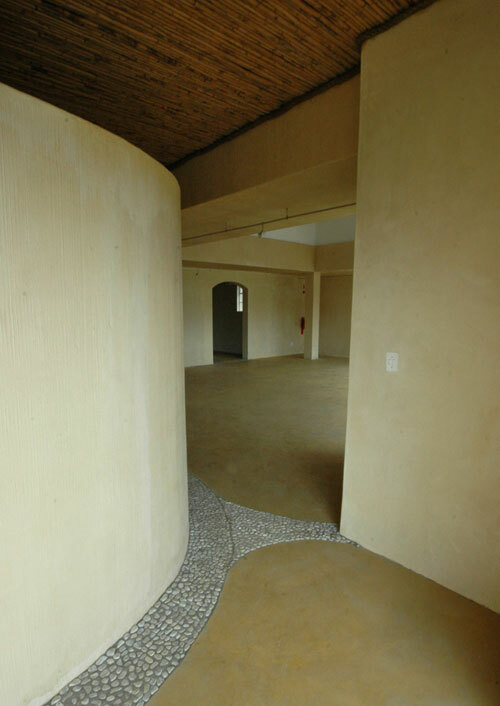 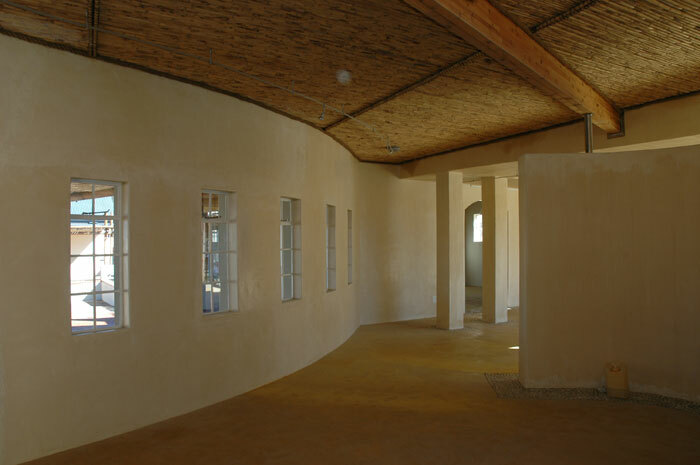 Situated at the entrance to Kayamandi, the Kayamandi Tourist Centre is a unique tourist development envisaged as a catalyst for social change, racial tolerance as well as a centre that will promote cultural expression and economic development in Kayamandi. 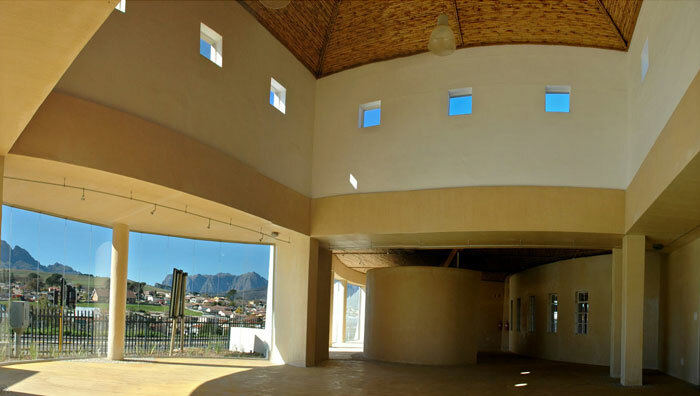 The architecture responds to its context using structures with Cape Vernacular forms to create traditionally formed spaces. 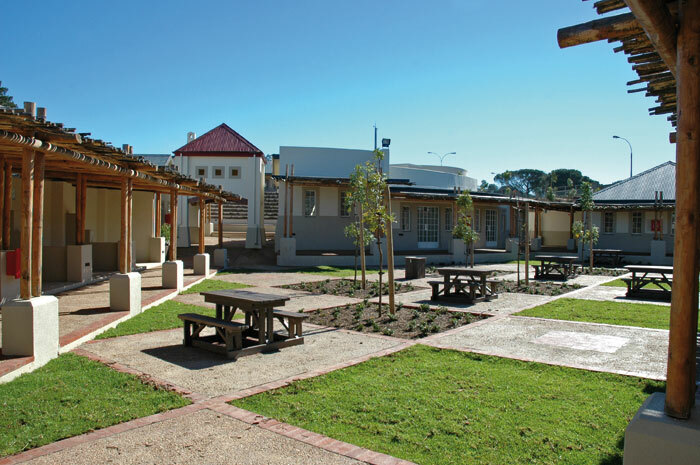 Timber poles, corrugated iron, earth tones with a contrasting red are used in combination with textures to respond to the African context.